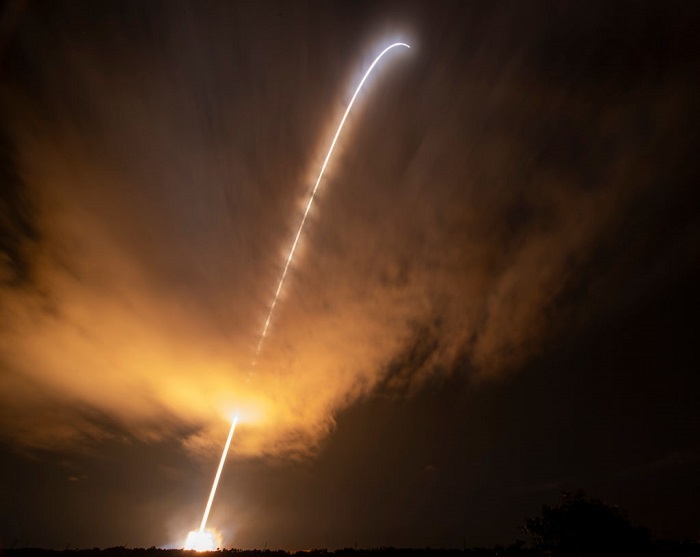 NASA Launches Parker Solar Probe to "Touch the Sun"
NASA launched the Parker Solar Probe from Cape Canaveral Air Force station at 3:31 AM Eastern Time on August 12, marking the beginning of its historic mission to the sun. Parker is being carried by a United Launch Alliance Delta IV Heavy rocket. If all goes as planned, this will be the closest that humanity has ever gotten to the sun. For 60 years now, scientists have dreamed of and planned for a mission that would take on the sun. The launch of Parker Solar Probe was originally scheduled for Saturday, however last-minute technical issues resulted in delays. In the end, Dr. Thomas Zurbuchen, associate administrator for NASA's Science Mission Directorate, said "It was a really clean launch. It took off like it should." The Parker Solar Probe is named after 91-year-old astrophysicist Eugene Parker. In the 1950s, he proposed that the sun produces supersonic solar wind. This is the first time that NASA has ever named a spacecraft after a living person. Parker watched the launch in person from the Kennedy Space Center, saying "There's nothing like a rocket launch live." The distance between the sun and Earth is 93 million miles on average. Parker will travel to within 3.8 million miles of the sun's surface. This is seven times closer than the previous closest record, which goes to Helios 2, which came within 27 million miles of the sun in more than four decades ago. In the coming weeks, Parker will undergo several tests to make sure that all of its instruments are functioning properly. It is expected to complete seven flybys over the next seven years, with its closest one planned for October 2. Each flyby will take it closer to the sun, with its closest approach planned for 2024. Parker must withstand nearly 2,500 degrees Fahrenheit of heat during its mission to the sun. Scientists hope to shed light on and obtain answers to a number of questions. The mission should provide unprecedented insight into how the sun works. The information gained is expected to help space agencies protect satellites and electrical grids on Earth from solar flares in the future.